I had the chance to talk to Nick Wozniak (art, animation, etc.) 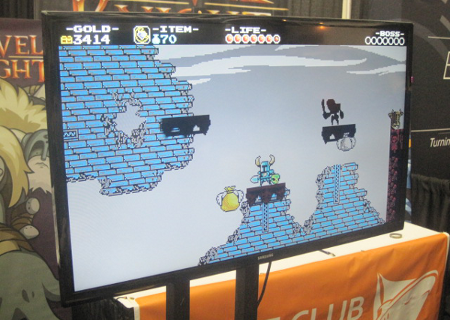 of Yacht Club Games a bit at PAX East concerning the very much anticipated Wii U / 3DS eShop title Shovel Knight, as well as get my hands on a two stage demo of the game. I'm still a bit woozy from lack of sleep here, so let's see how much sense I can make out of my thoughts. 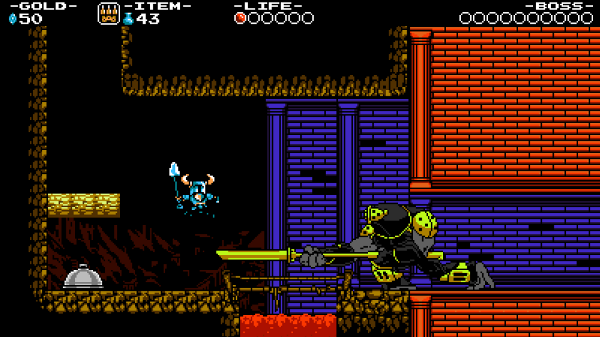 I'll just get one thing out of the way here; Shovel Knight is every bit as awesome as I hoped it would be. I'm always a little bit skeptical coming into a hands-on with any game, doubly so with the debut game from a new developer (even if that developer has a distinguished ex-WayForward pedigree...) But Yacht Club Games has nailed it, and with just two stages they have left me wanting more. Photographed with my cheap camera. You should probably just look at the images below instead. The controls are awesome. I don't know why that surprised me, but for some reason I just didn't expect them to feel so fluid. I suppose my low expectations for the controls were in part because the game is drawing inspiration from the 8-bit era and very few of the original 8-bit games have controls that have passed the test of time. Nick explained that Yacht Club wanted to keep things simple and not force in any unnecessary motions, and it definitely works. For instance, to use the DuckTales-esque bounce you just hold down while in the air, and if you hit something that you can bounce off of while holding down, you bounce. Controlling your ShovelBlade also feels very nice, and you can use your various power-ups with a single direction and button press. Simple enough, and it all works very nicely. Which is a good thing because oh man, there is a lot of bouncing in this game. I haven't played DuckTales in awhile so, but it's clearly a huge inspiration. So is Mega Man of course. And Castlevania. 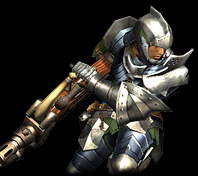 And Dark Souls even. But we have already heard about these inspirations. Most importantly, Yacht Club pulls from these source materials while still managing to craft an experience that feels fresh and new. The Jake Kaufman aka Virt (Mighty Switch Force!, DuckTales Remastered, our very own Dapper Dave's Boot Hill Heroes, etc.) soundtrack is excellent and very fitting to the game, with some wicked chiptune styled compositions. Veteran composer Manami Matsumae (Mega Man, Adventures of Lolo, Mighty No. 9, etc.) is also throwing in two tracks. But you already know this as well. So let's get to my gameplay impressions already! What you can't see in these images is the super smooth animations. The demo had two playable stages, “easy” (um... Iforgetwhothebosswashere Knight) and “hard” (Specter Knight), although Nick said the demo version was specifically made easier than the final game will be. Of course I played both, the easy stage on the PC version (I was told that the Wii U version looks and plays identical) and the hard stage on the 3DS version. The “easy” stage took place in a grasslands type area, and worked well to introduce me to the game. One of the things that surprised me a bit about Shovel Knight is how long and non-linear the stages are. It's easy to get into the habit of thinking “it's inspired by Mega Man so it will probably play out just like it...” but as far as length and depth of the stages, that is simply not a good mindset to come into Shovel Knight with. The stages take awhile to get through, and there are multiple paths, including many secret paths or paths that you need to solve little puzzles to get to, so I imagine there will be a lot of replayability for anyone who wants the full experience. The “hard” area (a creepy graveyard-ish stage), however, is where the game really began to shine. A bunch of neat ideas were thrown into this stage, including a light / dark mechanic that not only fit the theme but made certain areas of the stage very interesting, and some pretty neat puzzles involving using the heads of enemies that you defeat to weigh down one side of a “scale” type platform (think Super Mario Bros.) to raise the other, among other things. The boss (Specter Knight) was huge and it was, again, a very intense fight which I barely managed to survive. I placed sixth on those leaderboards. Bah. This image actually has nothing to do with the stages I played. Deceptive! If you're wondering which version (between the PC and 3DS) I preferred, it's tough to say. Honestly, they pretty much look (aside from HD), sound, and play identical, so it really just comes down to your own preference. There are some feature differences between the Wii U and 3DS versions, however. The Wii U version will have Miiverse support and a multiplayer mode (coming for free after launch) while the 3DS version will have a StreetPass mode. Decisions, decisions. When is this darn game finally coming out on the Wii U and 3DS? Yacht Club Games themselves are not quite sure. But I was told that the game is basically finished and has been submitted to Nintendo and should be arriving “very, very soon”. I wouldn't be surprised to see it pop up within the next week or two. This probably isn't fair considering how many games at PAX East I didn't get to play, but I feel pretty confident in saying that Shovel Knight was the game of the show. Yep, I said it; game of the show. Don't believe me? You will find out soon enough. I played the easy stage. It was definitely fun, controlled great. I was glad to hear that the difficult would be amped up from the guy there, who was super friendly and willing to answer any questions. The levels were definitely longer than I'm used to in a game like this, it will be interesting to see if all of them are like that and how many there are. Sweet, thanks for the impressions! Can't wait to play this game! Waiting on the Wii U version (I helped with the Kickstarter). Can't wait! Wow! Thank you for the impressions. I wasn't that interested in this project before now. The way they were talking I really expect to see this game release next week, or if not then, the week after. Anyway, it's tough to put into words exactly, but this only looks and sounds "8-bit", while it feels more like a 16-bit or beyond type game. Actually even the looks and sounds aren't really that 8-bit... lots of stuff you didn't see quite so much back then like a bunch of neat parallax scrolling, etc. It's not like Mega Man 9 which, although I totally love it, stuck very closely to the 8-bit aesthetics. 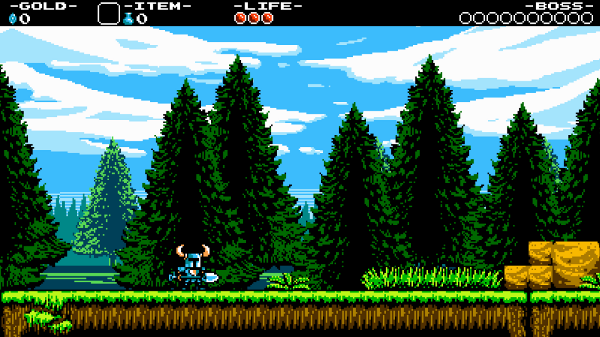 Shovel Knight kind of feels like what 8-bit games would have turned into over time in some weird parallel dimension where gaming went in another direction than it did... or something. @Jargon Well both the stages I played were pretty darn long, and Nick said that was the norm for all of them, so I think it'll be a pretty lengthy game, at least for this type of game. As for difficulty yeah, this demo is supposedly easier than the final version will be.